Make the world give you time to read the books you love. 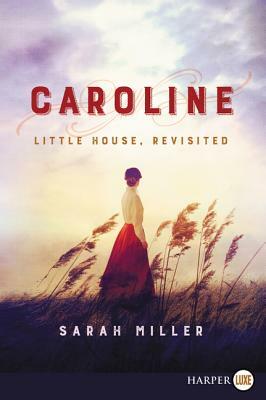 In this novel authorized by the Little House Heritage Trust, Sarah Miller vividly recreates the beauty, hardship, and joys of the frontier in a dazzling work of historical fiction, a captivating story that illuminates one courageous, resilient, and loving pioneer woman as never before—Caroline Ingalls, "Ma" in Laura Ingalls Wilder’s beloved Little House books. Sarah Miller began writing her first novel at the age of ten, and has spent the last two decades working in libraries and bookstores. She is the author of two previous historical novels, Miss Spitfire: Reaching Helen Keller and The Lost Crown. Her nonfiction debut, The Borden Murders: Lizzie Borden and the Trial of the Century, was hailed by the New York Times as "a historical version of Law & Order." She lives in Michigan.